DC Collectibles is back with a line of combinable statues, this time featuring the Bat-Family! This Bat-Family Statue set features five statues that can be posed individually (each sold separately) or combined into a massive showpiece. The first statue of the set is the Dark Knight himself, and he serves as the literal and figurative centerpiece of the set. 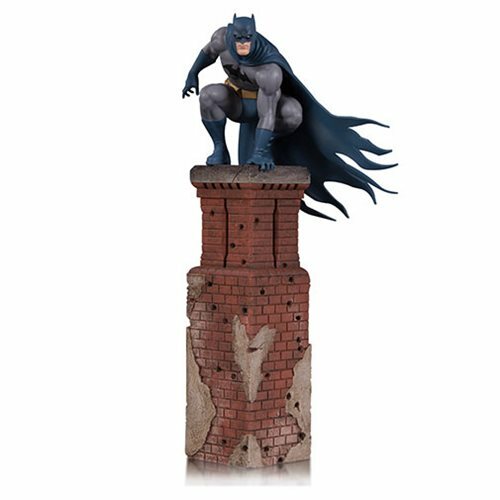 Perched atop a building's pillar, Batman looks out into the night, patrolling the streets of Gotham in his never-ending quest to protect the city and its citizens. This 9 2/3-inch tall polyresin statue is a limited edition of 5,000 pieces.